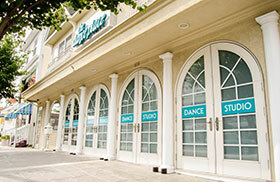 We’re currently celebrating our 38th year of providing top quality dance education, right here in Ocean City, New Jersey. Our school has continued to grow since we opened our doors in 1981. 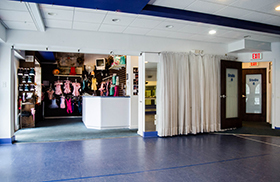 We’re currently celebrating our 38th year of providing top quality dance education, right here in Ocean City, New Jersey. Our school has continued to grow since we opened our doors in 1981. During this time we have had the joy of teaching more than 3000 local students in our studio. We dedicate ourselves to providing the very best instruction possible. Our 2000 square foot beautiful building is located right in the center of town. 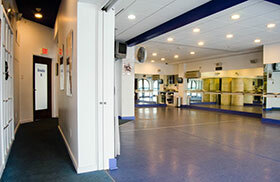 One of the most import features of a dance studio is the type of flooring used. We use only Marley professional dance floors, which absorb the impact of dancing while allowing the dancer to slide, with a degree of controlled slip. However, the floor itself is not slippery, so it also reduces the risk of falls and injury. We have floor to ceiling mirrors so students can easily monitor their own movements. The studio is also air conditioned for the students comfort. Our convenient central location makes getting to and from the school a breeze. We offer a large diversity of classes including tap, jazz, ballet, modern, hip-hop and preschool dance. Our focus is on helping our students gain the skills they need to enjoy dance long after their dance lessons are completed. Many parents choose our school because in addition to having excellent teachers and programs it is possible to schedule your child in multiple classes on the same day. Our school offers morning, afternoon and evening classes to accommodate more students “first choice” times. Between the pressures of homework, sports and family time, we know how overwhelming it can be to fit in all those activities. 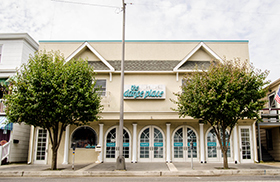 Mary Beth Snow is the founder and owner of the dance place in Ocean City, New Jersey. Now celebrating her 38th season, Mary Beth is known for always creating an all inclusive experience for everyone. All dancers are offered the same dance education and performance opportunities regardless of age or ability. Mary Beth and her staff have guided and educated thousands of students throughout the years to become dynamic leaders, dancers, and well rounded individuals in all areas of life. Her alumni dancers include many who have gone on to do amazing things in all professional fields from doctors, teachers, moms, lawyers, chef’s, dance instructors and more. Mary Beth works each year as a choreographer for Disney World as part of their Dance The World program bringing thousands of dancers from throughout the United States and Canada to parade down main street. Growing up in Ocean City and sharing her passion for dance has been a dream come true! We handle students from 2-year-old beginners to advanced level, and have a newly enlarged staff to offer all of our students the ability to work with a teacher that best meets their needs. We want to provide In order to offer the best dance experience we can for parents as well as their students, we completely handle the recital process from beginning to end. Parents get to sit in a special VIP seating area during recital. Costumes are given out complete. We sew, alter and include all accessories and tights with costume.